The fuse system recommended by most inverter manufacturers for high speed response to short circuits. High interrupt capacity for large battery banks including Lithium-ion and TPPL batteries. 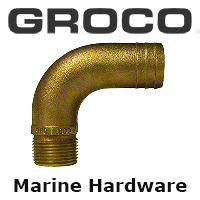 Clear insulating cover, satisfies ABYC/USCG requirements. Fuse kits includes Class-T fuse block and your choice of fuse rating. Please consult your installer or inverter manufacturer for the proper fuse rating for your application.